Following up on the earlier Fat Hen (Chenopodium Album) dish I decided to change the recipe somewhat. 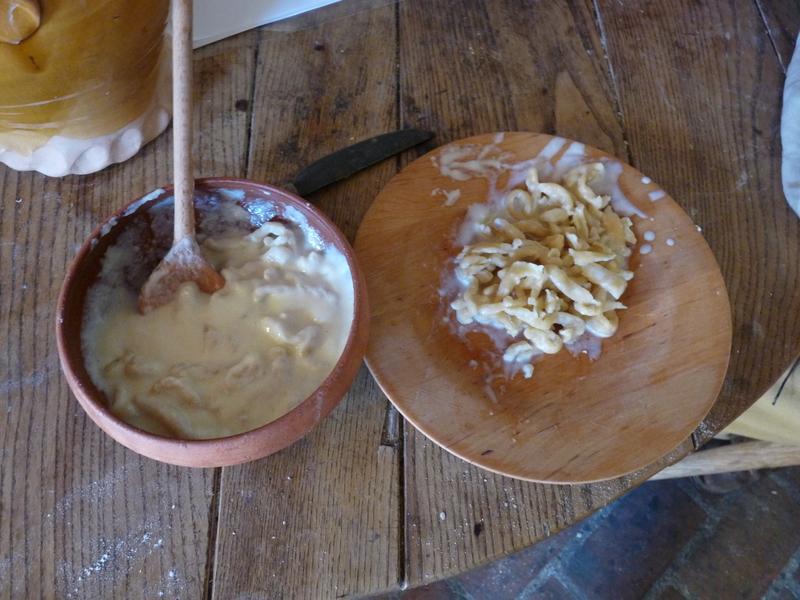 Granted in my last attempt the leaves mainly tasted of butter, so I decided to cut down on that. Though using generally the same method of preparing the dish as in the previous attempt I changed the gathering slightly. Instead of gathering the whole plants, I picked the younger leaves of a handful plants until I ended up with a pot full of leaves. In order to get away from the stringy feeling of the earlier dish I also cut away the fibrous stem at the back of the leaves. The leaves were then cooked for a short time and the water poured of. The leaves were taken out and in the same pot I melted a small knob of butter. To this I then added the leaves, some fresh cheese I’ve made earlier and a some whey. While the cheese made the dish feel “foodier” the whey added an acidic taste that was a rather nice addition to the dish. With the acidic taste of the whey I felt the minimal amount of salt added to the cheese felt quite enough. Still, it felt like a sort of side-dish that would require something else. Though a wild plant and somewhat thinner than cabbage I would not be surprised if the leaves did not lend themselves perfectly for pickling in lactic acid. Something I ought look into if the weather is right and I can find something fitting to put it in.